What makes you an artist? In this podcast, Dorian Vallejo reveals the risks he took to follow his passion, and explains how to start making art with emotional impact. 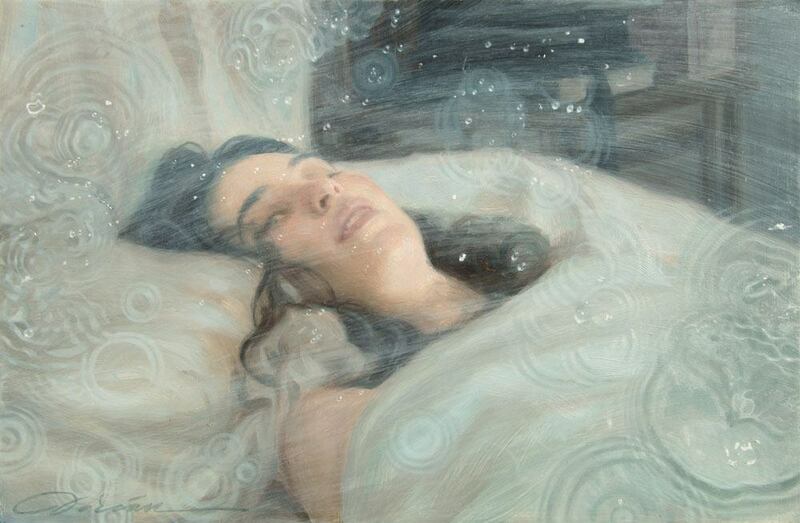 In this podcast, Dorian Vallejo explains how he made the transition from illustration commissions to making incredible paintings full of mystery and meaning. But it’s a different challenge entirely to express deeper, more complex ideas and meanings in your work. So What Makes You an Artist, Really? Dorian Vallejo always knew he wanted to become an artist. In fact, he was working on commissions in his teens. However, as his career developed, so did the way he thought about art and the creative process. He began to question common notions expressed in comic books and movies (such as heroism), and how to go deeper than just expressing this through the usual methods (ie. strong, muscular physiques and other hero-like qualities). He began studying the writings of American scholar and mythologist, Joseph Campbell, whose book, The Hero With a Thousand Faces, examines the physical journey of the archetypal hero found in mythologies worldwide. “Campbell looked at stories of heroism throughout the world and throughout time, and realised they’re all the same story. And the reason why they’re the same is because we’re people, and it’s part of a shared experience. And, realising this concept of heroism related to real-life as well as stories, Dorian set out on the path to become an artist whose work could really connect with people. Having established himself as an illustrator, Dorian eventually became disillusioned with his work and didn’t feel as if he had the freedom to express himself. So, one day decided to make the transition towards becoming a portrait artist instead…a risky, but very necessary, move for him to make. We hope this week’s podcast helps you discover what makes you an artist, and that it inspires you to follow your true passions in life.